What happens if you die without a will? Learn about intestacy in Texas. If you die without a will in Texas, your assets will go to your closest relatives under state “intestate succession” laws. Here are some details about how intestate succession works in Texas. To learn more about these types of assets, go to the How to Avoid Probate section of Nolo.com or read about Avoiding Probate in Texas. In Texas, if you are married and you die without a will, what your spouse gets depends in part on how the two of you owned your property -- as separate property or community property. Generally, community property is property acquired while you were married, and separate property is property you acquired before marriage. There are a couple of big exceptions: Gifts and inheritances given to one spouse are separate property, even if acquired during marriage. If you want to learn more about how community property works, read Separate and Community Property During Marriage: Who Owns What? Your spouse will inherit your half of the community property unless you leave descendants – children, grandchildren, or great grandchildren. If you have separate property (many spouses mix everything together and don’t have any separate property) your spouse will inherit all or a portion of it. The size of your spouse’s share of your separate property depends on whether or not you have living parents, children, or siblings. If you do, they and your spouse will share your separate property. If you and your spouse are legally separated -- but not yet divorced -- when you die without a will, your spouse will not be entitled to your property. If you’re concerned about this area of the law, see an experienced attorney for help. For children to inherit from you under the laws of intestacy, the state of Texas must consider them your children, legally. For many families, this is not a confusing issue. But it’s not always clear. Here are some things to keep in mind. Adopted children. Children you legally adopted will receive an intestate share, just as your biological children do. Tex. Est. Code § 201.054. Children placed for adoption. In Texas, children you placed for adoption and who were legally adopted by another family are usually entitled to an intestate share of your estate. Tex. Est. Code § 201.054. Posthumous children. Children conceived by you but not born before your death will receive a share as long as they survive for at least 120 hours. Tex. Est. Code § 201.056. Children born outside of marriage. If you were not married to your children’s mother when she gave birth to them, they may receive a share of your estate if (1) you participated in a marriage ceremony that later turned out to be void, (2) you acknowledged your paternity in writing, (3) you adopted the child, (4) your paternity was established under Texas law during your lifetime, or (5) your child petitioned the probate court to determine paternity and inheritance rights and your paternity is established. Tex. Est. Code § 201.052. Children born during your marriage. Any child born to your wife during your marriage is assumed to be your child and will receive a share of your estate. Grandchildren. A grandchild will receive a share only if that grandchild's parent (your son or daughter) is not alive to receive his or her share. Tex. Est. Code § 201.101. This can be a tricky area of the law, so if you have questions about your relationship to your parent or child, get help from an experienced attorney. If you want to read the laws themselves, you’ll find a link to the Texas Probate Code at the end of this article. 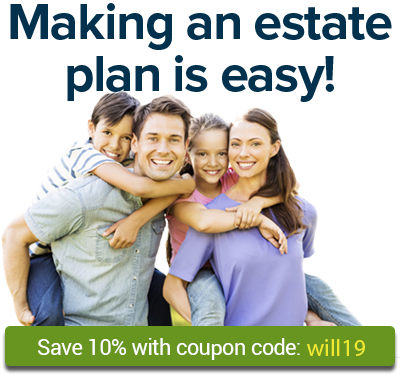 If you die without a will and don’t have any family, your property will “escheat” into the state’s coffers. However, this very rarely happens because the laws are designed to get your property to anyone who was even remotely related to you. For example, your property won’t go to the state if you leave a spouse, children, grandchildren, parents, grandparents, siblings, nieces, nephews, aunts, uncles, or cousins. Here are a few other things to know about Texas intestacy laws. Survivorship period. To inherit under Texas’s intestate succession statutes, a person must outlive you by 120 hours. So, if you and your brother are in a car accident and he dies a few hours after you do, his estate would not receive any of your property. If you and your spouse die simultaneously, half of the community property will be distributed as though you had survived, and half will be distributed as though your spouse had survived. Tex. Est. Code § 121.102. Half-relatives. If you leave only half-relatives, they will share equally. Assuming that your two sisters Regina and Sarah would be the only ones to inherit from you, each would receive 1/2 of your property if you had the same mother but different fathers. However, if you leave half and whole-blood relatives, the half relative would only receive 1/2 of the share that your whole-blood relative receives. So, if Regina is your half-sister but Sarah has the same mother and father, Sarah would receive 2/3 of your property and Regina would inherit 1/3 of your property (which is ½ of Sarah’s share). Tex. Est. Code § 201.057. Posthumous relatives. Relatives conceived before -- but born after -- will receive a share of your estate if they were in utero before your death and survived for at least 120 hours after their birth. Tex. Est. Code § 201.056. Immigration status. Relatives entitled to an intestate share of your property will inherit whether or not they are citizens or legally in the United States. Tex. Est. Code § 201.060. Advancements. If you gave a relative property during your lifetime, the value of this gift is subtracted from your relative’s share only if you stated this in writing at the time of making the gift or your relative put this in writing. Tex. Est. Code § 201.151. You can find Texas’s intestate succession laws here: Texas Estates Code Ann. § § 201.001-201.003.